Nothing brings people together quite like pizza, but depending where you live in the United States, you may well be paying a whole lot more for a slice of pepperoni than your cheese-on-bread-loving comrades across the country. 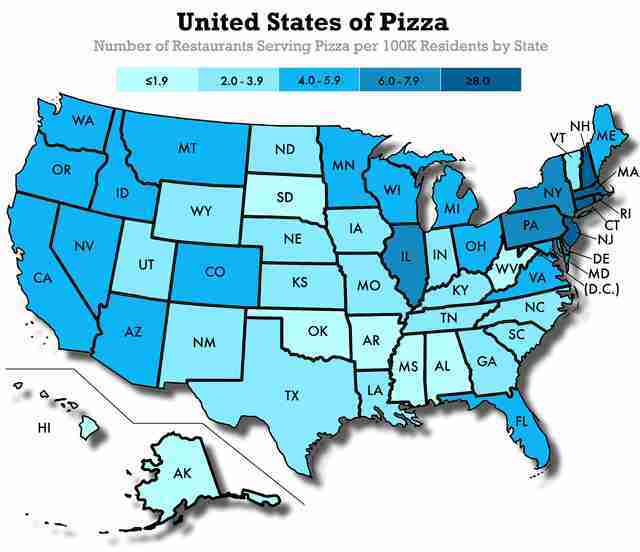 To clue you in on the inequities regarding one of America's favorite foods, and to help you determine whether it's worth crossing state lines to get your next Friday night pie, an intrepid team of researchers figured out exactly how much a full pizza costs in every state. 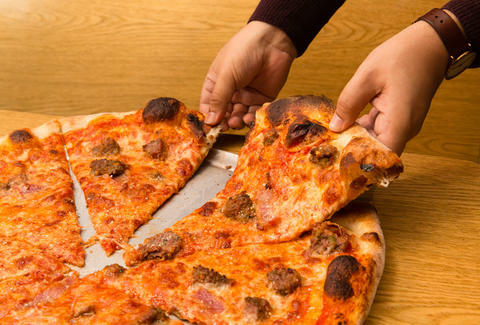 A new report from the folks at Datafiniti looked at the price of a large cheese pie from every US establishment in its records that serves pizza and found that North Dakota is the most expensive state to indulge your hot melted cheese cravings, with a median price of $14. Nearby Wyoming is the second most expensive ($13), followed by Washington ($12.73). If you're on a tight budget, be happy if you're dining in Alaska, where pizzas are the cheapest at just $7.25 a pop. You're also getting a good deal in Maine and Kentucky, where the median price is $7.50 and $8, respectively. While knowing the statewide average is interesting (and a nice set of data to cross-reference with the states with the cheapest beer), you're likely most interested in how things vary city to city. Fortunately, the Datafiniti team looked into that out, too.